Few months back, the Government of Nepal announced a moratorium or a temporary ban on the recruitment of domestic workers to the Gulf region and other destination countries. The decision was taken considering the increasing vulnerabilities including instances of physical and mental exploitation of female domestic workers at the destination countries in the Gulf region. In fact, this move has been aimed at ensuring safety, security, better working environment and reforms in the stringent immigration policies for female domestic workers at the destination countries, particularly in the Gulf region. In fact, host of other issues compelled the government to impose this ban. Countries like Indonesia, following much better procedure than Nepal, had already imposed a stern ban when negotiations with the receiving countries to create a safe working environment for their domestic workers were unproductive. One of the serious problems for the source countries is the legal defect since the domestic workers are not covered by the National Labour Laws in the destination countries of the Gulf region. In our case, proper regulatory measures in the recruitment procedures (both at home and in the destination countries) and an institutional memory within the system are the major hurdles besides other identical problems. It is necessary to understand the history of migration trend in order to understand why workers in our region opt for overseas employment. South Asia has comparatively a closer link with the Gulf since long time basically for two reasons; both regions were colonized by the British. And secondly, the elite and adventurous traders from India and elsewhere in the region have worked in creating the links, mainly the western and southern parts of India with the Gulf countries. So did the Arab traders from the Gulf who explored trade opportunities in the southern and western India, Sri Lanka and coastal areas of Pakistan. The advent of oil and its price boom bringing affluence in the region led to a sudden influx of migrant workers including the female workers from mainly India, Sri Lanka, Pakistan and Bangladesh. Studies have shown that the increase in the price of oil not only opened up new jobs but further enhanced the volume of trade between South Asia and the Gulf countries. This also contributed to the increasing trend of labour migration from South Asia to the region. In this scenario, the newly attained luxury and comfort in the households of the region from soaring oil revenues required low-skilled and semi- skilled female workers like nurses, care-givers, cleaners, domestic workers to meet their growing needs. In the beginning, lower category workers were hired from other Arab nationals from less resourceful countries in the neighborhood. However, female domestic workers from India, Sri Lanka, and Bangladesh outnumbered others in course of time with Nepal gradually entering the scene. Migration of male workers from Nepal to the Gulf saw a surge in early 1990s. However, the migration of Nepalese female domestic workers to the region started much later, compared to other source countries of South Asia. In the beginning, a small number of female workers from Nepal entered the Gulf during 1970s and 1980s accompanying the members of Indian business community. Some of those domestic workers, it is said, even carried Indian passports and the total number was very low to count! (As told by the senior members of Indian community who arrived Kuwait over 50 years ago). Nepal imposed a ban in 1998 for female workers to the Gulf region following an alleged murder of a Nepali housemaid. The sudden decision of the ban remained ineffective and failed to rein in the trend as more jobless women back home were desperately looking for employment abroad. They had to opt for recruitment through unscrupulous middlemen. Several others were deceitfully trafficked. The inflow from Nepal started further swelling at a faster pace after mid/late nineties and early 2000s. This included individual migration as well as trafficking en masse through abusive recruitment practices which were ignored or remained unnoticed in Nepal until the problem was flared up. This lawless situation further helped cross-border trafficking and illegal recruitment, thus exposing the female workers to greater exploitation risk. The Nepal-India porous border as well as a strong cross-border nexus between middlemen/touts of the two countries also helped increase the number of undocumented female workers in the Gulf. The number of those leaving the country for the Gulf region via different routes increased from almost negligible figures in hundreds to over 140,000 by 2010, as claimed by studies made by some international agencies. These workers possessed the residency visas of receiving countries and were legal workers in the destination countries, but they were unrecorded and regarded as illegal in Nepal since they were recruited without the approval of the Nepal government. In Kuwait only, the number such domestic female workers increased from few hundreds to at least 26,000 by the first quarter of 2010, according to Kuwaiti official data. Similar was the case in other Gulf countries like the United Arab Emirates, Oman and Bahrain. Trans-border traffickers operated despite the tightened border. The official census in Nepal did not reveal the number of illegally recruited workers due to the absence of official mechanism to regulate, control and monitor the status of unrecorded flow in those days. All source countries of South Asia had identical problems of illegal recruitment and trafficking. The difference was only in degree and the number of workers which varied from country to country. Ironically, despite the reports of vulnerability and abuses, the reference documents and available data showed that the influx of female migrant workers from South Asia including Nepal to the Gulf region was always in an increasing trend. Temporary ban imposed by some of the source countries at different times hardly worked. 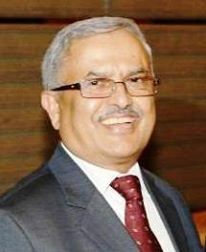 The Government of Nepal lifted the ban in 2010. The ban of 1998 was in effect in paper only. The situation in the destination countries did not change even after lifting of the ban except that there was an official record of few thousand workers who migrated on the approval of the Department of Foreign Employment. It was mainly because of the absence of any bilateral mechanism with the receiving countries to deal with this issue. The exploitation of workers did not end completely although minimized. On our side, various reasons including frequent changes in the bureaucratic leadership, and absence of inter-agency coordination as well as lack of institutional memory hindered the process. According to the existing modus operandi or the recruitment procedure adopted by the major source countries for recruiting domestic workers in the Gulf region, it is still the “Kafala” or the sponsorship system, which prevails. National laws in those countries still entitle every household/family to certain numbers of visas to hire domestic workers as maids, drivers, house boys, gardeners, care-givers etc under their sponsorship or “Kafala”. Therefore, signing of bilateral agreements with all receiving countries may not help resolve the problems unless they express their commitments to completely abolish the individual sponsorship system. “Kafala” is a legal sponsorship system for both corporate sector and domestic sector workers under which the residency and employment of an expatriate worker is controlled by the employer. In other words, a migrant worker’s salary, living accommodations, meals, ability to work elsewhere, and even their ability to return home are at the mercy of their employer within the period of contract. “Kafala” is in force strictly in the case of male/female domestic workers in all the Gulf countries. Though some of them (Bahrain) have announced the abolition of “Kafala” some time back, it is still in practice although several reform measures like creating a government authority to undertake the sponsorship and setting up a safe house for run-away domestic workers. 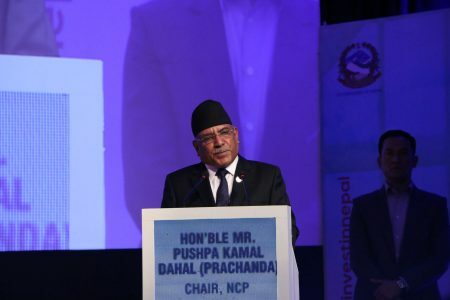 There is a need for signing of an agency agreement as a framework agreement between the recruitment agencies of both Nepal and the receiving countries in the same pattern as it is done for workers in other sectors when they submit the Demand Papers for an official endorsement. Such an agreement should clearly specify the minimum standards and necessities such as salary, other remunerable benefits, working hours, weekly and annual leave and other contractual obligations of the employers. In the absence of any such specific agreement in the case of workers in the domestic sector, the low category domestic workers are always at the mercy of their employers or the recruiting agents. It is very important that the bilateral Labour Agreements should include Provision for Agency Agreement invariably. The concerned government authorities in Nepal had reportedly done some homework on the issue and two years ago, an inter-ministerial committee even prepared a draft and recommended it to the concerned authorities. This significant part should not be left out in future negotiations. Nepal has proposed to conclude bilateral labour agreements with all receiving countries; more emphasis should be laid on complete safety and security of all categories of workers including a special provision for female domestic workers. Any other option will not bring about a complete solution and will not prove as a remedy to the woes of domestic workers unless efforts are made to ensure the safety and security of the workers.